Grand jeté izakaya Japanese restaurant is located within Singapore’s Aperia Mall, at 12 Kallang Avenue. 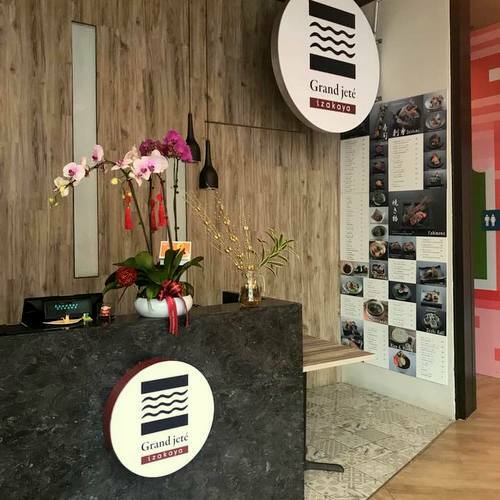 Open to customers since early 2018, Grand jeté izakaya offers a menu of more than 60 delicious Japanese dishes, as well as an extensive drinks list. Highlights on the restaurant’s menu include Panko Fried Shrimp, Curry Rice, as well as Chikuzenni, a chicken and root vegetable stew that’s a speciality of Japanese Kyushu island. The official Grand jeté izakaya Facebook page is located at www.facebook.com/grandjeteizakaya/. You can also follow the official Grand jeté izakaya Instagram account, which in turn is available at www.instagram.com/grand_jete_izakaya/.